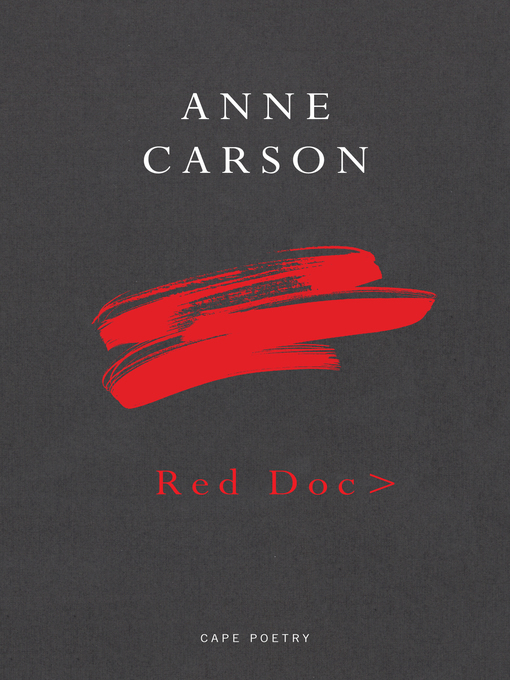 In a stunningly original mix of poetry, drama, and narrative, Anne Carson brings the red-winged Geryon from Autobiography of Red, now called 'G', into manhood, and through the complex labyrinths of the modern age. We join him as he travels with his friend and lover 'Sad' (short for Sad But Great), a war veteran, and with Ida, an artist, across a geography that ranges from plains of glacial ice to idyllic green pastures; from a psychiatric clinic to the sombre house where G's mother must face her death. Haunted by Proust, juxtaposing the hunger for flight with the longing for family and home, this deeply powerful picaresque verse invites readers on an extraordinary journey of intellect, imagination, and soul.